I love the design, but the instructions are vague. It would have been helpful to know what kind of stabilizer to use to stitch the butterflies and a caution to use the same color thread in the bobbin. to a project... Love it! 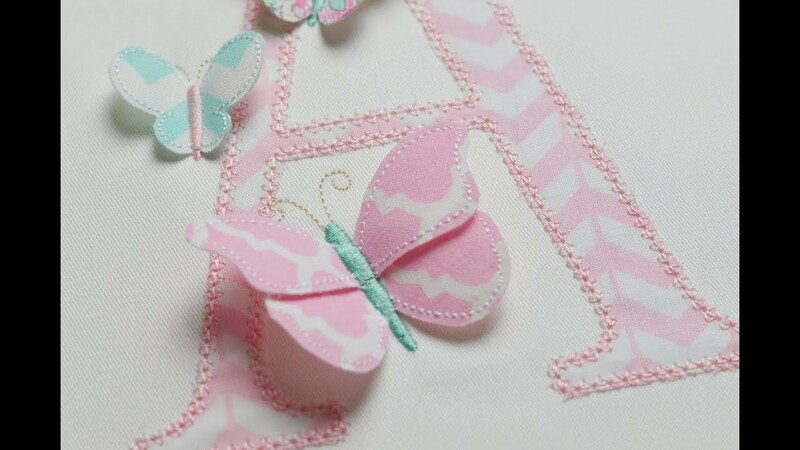 I used this embroidery file for my daughters first birthday, she has Turner Syndrome and the symbol is a butterfly. It stitched out beautifully! I had no problems following the directions or understanding how this went together. Thank you for this beautiful design as it added an extra special touch to her first birthday! The font stitches beautifully but the description stated it included 8x12 and the butterflies come in 8x12 but there are no letters for those butterflies. I did reach out via email and Facebook but it was 3 days before I received any communication and by then I had used another design for my client. I’m not sure if this file wasn’t finished before it was posted or what but some of my files were saved as someone’s name so I think it was just not ready. I wouldn’t have purchased it had I known there were no 8x12 letters as that’s all I needed. I love everything from PA and the designs are beautiful but this caused a lot of issues with a client who was set on this font after I showed it to her and then was frustrated with the sizing. All in all it ended well. Made in just two hoopings ( one for the butterflies and one for the completed letter)! Comes in uppercase letters A-Z and numbers 1-9. Each letter has 4 butterflies on it. Super easy and fast project to add some style to your crafting!